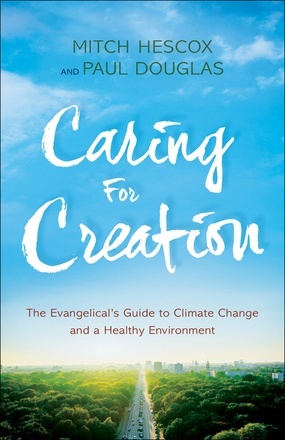 Tuesday, November 15th at 7 p.m.
RSVP to reserve your free copy of Caring for Creation! Minnehaha Academy Welcomes Meteorologist Paul Douglas and Evangelical Environmental Network Director Mitch Hescox for a Compelling Climate Change Conversation and Book Release Event. Join us for this not-to-be-missed community conversation and book release event about climate change and the Biblical call for Christians to care about the earth. - Tips to help your family and those around you care for the earth. The first 500 attendees will receive a free copy of Hescox and Douglas’ new book Caring for Creation: The Evangelical’s Guide to Climate Change and a Healthy Environment. Paul Douglas is a respected meteorologist with 35 years of TV and radio experience. A successful entrepreneur, he appears regularly on MSNBC, CNN, and other media outlets. Paul and his wife live in Minnesota. Learn more at pauldouglasweather.com. Mitch Hescox leads the Evangelical Environmental Network (EEN), the largest evangelical group dedicated to creation care (creationcare.org), and is quoted often in national media. Prior to EEN, he pastored a church for 18 years. Mitch and his wife live in Pennsylvania. Learn more at creationcare.org. Audubon Minnesota is proud to support Caring for Creation and other community discussions about climate change. Audubon’s Birds and Climate Change Report (2014) confirmed that climate change is a great threat to birds. However, there is hope if a diverse network of people can come together to protect the planet. Audubon Minnesota delivers conservation results by creating bird-friendly communities, protecting water for birds and people, and shaping a healthy climate. Learn more at mn.audubon.org. Minnehaha Academy is a PreK through grade 12 private school in Minneapolis, MN, with a mission to provide high quality education integrating Christian faith and learning. Through innovative curriculum and engaging co-curricular activities, your child will grow as his or her potential is cultivated in a caring, nurturing environment guided by Christian role models. Learn more at MinnehahaAcademy.net.